Weight loss, especially in the cool and lazy winter season, seems completely impossible because of the unfavorable environment for regular intense workout and difficulties in following the diet plan of the summertime. 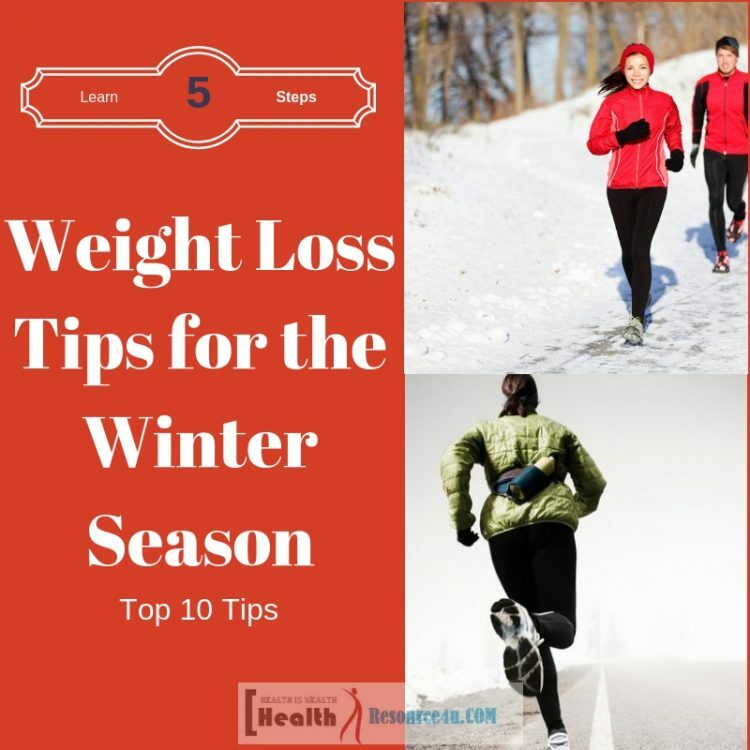 So for you, we have listed here some effective strategies and weight loss tips for the winter season. My dear friend, first you have to put in your mind that whatever weight loss plan and strategies that you were following in the summer season are not going to work in this cold weather. Another fact is that your body will not stay as much energized as it used to be before winter. Now you have to adapt to new plans and tricks if you want to lose your weight over this winter season. You will be surprised to know with lesser effort and activities you can cut your extra body fat naturally in the winter days. Are you worried to see this freezing temperature and cold environment of the winter seasoning that how you will manage your body weight? If the answer is yes, then stop worrying immediately as you have absolutely approached to the right place. Below we have mentioned most effective tricks and prudent tips that will help you a lot to lose your unwanted body weight easily. Stews and soups are the most desirable and necessary food intake for the winter time as it warms up our body temperature very fast. In the cold and severing environment our body get blocked and frozen which hampers our regular activities to a great extent. A hot bowl of stews and soup not only relive from the severing cold environment but also makes you energetic and increases your body’s metabolism. Most of the soups that you buy from market contain high fat that can easily increase unhealthy body fat resulting in more body weight increases. So it’s better you prepare your desired stews and soups at your home only with natural and fat-free ingredients. This healthy intake will enable you to survive easily in this negative environment without adding body fat to you. It’s quite simple to prepare healthy and fat-free soup at home only. This will save your expenses of buying costly soups from the market and will not let you compromise with your health in any circumstances. Take low kilojoule food as your soup or stews ingredients that can be healthy for you such as green veggies, fat-free creams, yogurt, chicken or beef. Now prepare your soup and once it is ready to store it in the fridge for one day. On the very next day remove all the fat from the surface of your prepared soup and heat it again for eating your hot soup. You can prepare a healthy and fat-free soup this way at your home only that will help you a lot to reduce your body weight in this winter season without any much effort and struggle. You might be not aware of the fact that the fat that causes to increase your body weight is of two types one is healthy fat and another one is known as unhealthy fat. As the name defines healthy fat is good for your health and weight as it doesn’t affect you negatively just like the consumption of unhealthy fat do. In this winter season, you can reduce your body weight without affecting your health by taking healthy fat intakes. A healthy fat is necessary for your health as it helps to absorb essential nutrients from the food that you eat daily such as Vitamin A, D, E etc. These nutrients help to build up your nervous system which is essential for providing you strength and energy. Healthy fat not only improve your physical health but it also enhances your mental health and makes you more motivated towards your goal. For losing your weight over this winter season avoid the consumption of food containing Trans and hydrogenated fat which primarily exists in the processed foods. Now start the consumption of foods which contains healthy saturated fats, polyunsaturated and monounsaturated. Some healthy fat-rich foods include almonds, salmon, olive oil, olives, avocados, unrefined coconut oil, organic clarified butter, grass-fed butter, hemp seeds, flax seed etc. This healthy fat food consumption will increase your body temperature which is essential to cope up with the current environment, raise your metabolism rate and prevents weight gain. Cold and calm weather of the winter time makes us feel sleepy every time even in the daytime too. As much as you will sleep in the daytime you are more likely to put on more body weight. The cool and pleasing temperature affects a lot on our sleeping pattern by reducing our metabolism and by making us lazy so in these short days most of the time we are willing to spend much time inside the quilt which is not good for your weight loss plan. For preventing such laziness and keeping yourself more active you should start sleeping in the early evening time and wake up in the early morning. This is the best sleeping pattern for the winter season and you will get dual benefit out of it. Also, you can avoid the midnight craving which generates due to late night sleeping habit and another benefit is that when you will wake up early morning you can easily avail the sunlight which is very essential to keep you healthy, energetic and diseases free. Also, it will boost your metabolism rate and keep you energetic throughout the day which is essential for avoiding daytime sleeping and laziness. Due to natural laziness in the body because of the external environment of the winter season, we often avoid our regular exercise routine and avoid our gym classes throughout the cold weather. Whatever the circumstances are you cannot avoid your fitness activities completely otherwise all your effort towards weight loss plan will go into the vein. So, my dear friend, it’s time for an alternative plan so that you can easily continue with your daily fitness activities without any break. Start exercising at your home only at least for 20 to 25 minutes on daily basis. There are many cardio workouts which you can do at home only and manage your body weight in a healthy way. Exercising is a healthy way of keeping your mind and body engaged that is why it not only improves your physical health but also boost and support to your mental health and prepare you for the day ahead. Have one glass of lemon water in the early morning as lemon is effective in reducing body fat and will warm you up for your cardio session. It is very essential for you to spend some healthy time under the sunlight if you are enthusiastic to lose your body weight over the winter. Sunlight in the winter season energize your mind and body and boost your metabolism rate and prevents the daytime drowsiness completely. Sunlight is one of the primary mediums to enhance mental health as it helps in increasing the serotonin chemical in mind which plays an important role in boosting your mental health, prevents mood swings, depression and anxiety concerns and unnecessary weight gain. Also, the serotonin chemical provides the feeling of fullness in your stomach that helps in suppressing your frequent craving for food and overeating habits naturally. So if you want to lose your weight over this winter then you must try this healthy tip. Winter juicy fruits are the rich source of nutrient which is essential for boosting your immunity power and keeping your body strong and healthy. You can eat these fruits as a small meal throughout the day. This will satisfy your daytime craving in a healthy way without affecting your body weight. Fruits like kiwi, grapes, pawpaw, guava, and naartjies are a rich source of Vitamin C which is a vital nutrient for preventing frequent cold and flu a common health concern during the winter time. Also as these fruits carry a very lesser rate of kilojoules so it can play a vital role in your weight loss program in the winter season. Sweeteners or sugar-rich foods are the weakness of every next person in this world which satisfy the desire of our taste bud but it is not good for the weight loss plan. However, with some healthy and nutrient dense sugary foods you can satisfy your quench for sweeteners and at the same time, you can also control from unusual weight gain. Seasonal vegetables which contain good sweet taste and are high nutrient dense can manage your craving for sweeteners in a healthy way. Prepare sweeteners at home only by roasting beets, steaming the pumpkin, baking the sweet potatoes etc. These veggie sweeteners are a good source of vitamin that will boost your immunity power and keep you healthy and energetic in this cold and cozy weather. Also, avoid the use of sugar in your hot drink instead use non-nutritive or artificial sugar that will add sweetness to your taste bud without adding fat to your body. By increasing your protein intake in your everyday meal you can reduce your body fat or weight to a great extent and very speedily. It is now been scientifically proved that protein has the capability to suppress your hunger positively and for the very long duration. So when you increase your protein-rich food intake you will automatically suppress your frequent craving throughout the day. Also, protein intake in the night meal prevents the night time craving which arises due to late night sleeping or insomnia problem. A good rate of protein intake saves your body from calorie gaining which plays a vital role in increasing abnormal body weight. In this respect make sure that you are taking lean protein not the high-fat rich protein which mainly founds in dairy products and in meat. Start this process since morning itself as because a healthy and complete breakfast is very essential to keep you energize throughout the day and prevent your daytime sleeping and laziness. Include lean protein-containing foods in your breakfast as it will easily make your mind fool about your crave and you will feel full all the time. So get ready to get a perfect body shape in this winter season by following this prudent healthy food plan. Water is a great source of natural energy and for weight loss plan this works amazingly by suppressing your usual hunger without affecting your health. It’s quite usual that cold temperature in weather will suppress your desire for water but you have to cross this barrier as with this little effort you can cut your body fat and calorie in an effective way. Drink two to three glasses of water in your empty stomach as it will suppress your hunger and will improve your immunity power to keep you energetic and healthy. Also before having big meals drink at least one glass of water as it will prevent you from overeating. A healthy amount of water intake in the winter season keeps your body hydrated and refines it from toxins and waste which affects your health badly. Also, it is essential for running your blood circulation level in good condition which boosts your immunity power and prevents cold and flu health concerns. Frequent daytime snaking or desire for snacks in the midnight can easily be controlled by increasing your water intake. So you can reduce your body weight with a very lesser effort by increasing your water consumption in this winter season. Try the weight loss tips for the winter mentioned in this article for getting your desired body weight in a healthy way and with very lesser effort. Over body, fat or weight is the root cause of many harmful diseases also it affects to our normal lifestyle. 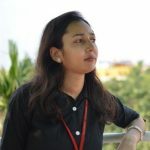 So as early as possible we want to get rid of it but in between winter season breaks our courage which is very usual, but now nothing to worry about as our natural tips are very effective and fruitful for your weight loss plan.